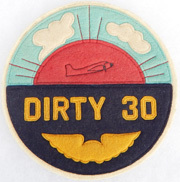 Dirty 30 Early US Advisors TO VNAF Squadron Patch. Almost five inches in diameter. Multi-piece felt construction. Unused. 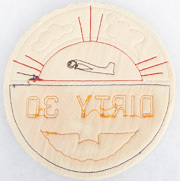 Very tough to find piece of insignia.